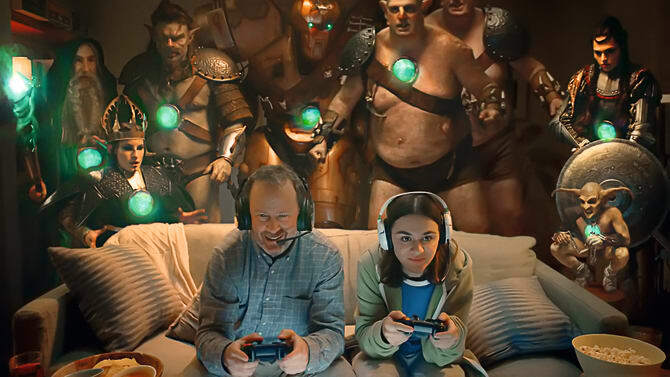 BT is celebrating its Keep Connected Promise to BT Plus customers with a multi-channel brand campaign featuring some fantasy video game heavyweights. BT Plus, the UK’s first converged fibre and 4G plan, comes with a promise to get customers back online quickly if they experience an internet outage, with the delivery of a 4G mini hub. 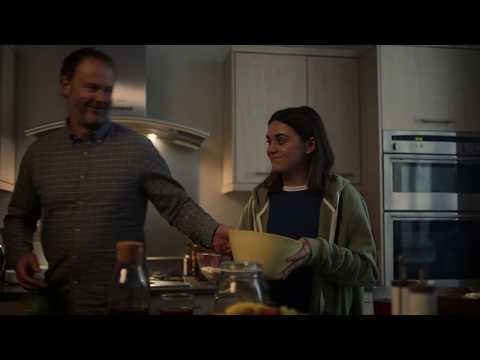 The television ad tells the story of a daughter arriving at her Dad’s place for the weekend, and we quickly discover that the two share a passion for video games and they’ve got big plans to conquer level seven of their favourite game for the weekend. As the two of them prepare snacks for an evening of gaming, the ad reveals they’re not the only ones gearing up for a big night ahead. Characters from the video game are seen throughout the house getting ready for the games to begin. A giant robot, a warrior queen, a wizard, a gremlin and a pair of ogre twins are just a few of the characters seen limbering up for the event. As the pair sit down to play, the motley crew of video game characters prepare to commence battle. Disaster strikes when a lightning bolt knocks out the broadband connection. Faced with their big weekend plans being ruined, Dad saves the day using his BT Plus Keep Connected Promise to arrange the delivery of a back-up 4G mini hub to get them back online. The ad concludes with Dad and daughter reunited in the living room to continue their gaming adventures. Supported with a multi-million-pound investment in placement, the television advert will launch on 2nd November alongside out of home (OOH), digital out of home (DOOH), press, radio and digital and social channels. The campaign begins with a 40 second TV ad that will launch on Friday 2nd November during Gogglebox, Big Brother and on Video On Demand. The new creative from BT will also be seen on air during X Factor this weekend. The campaign was developed by BT’s advertising agency AMV BBDO. BT’s media buying agency, Essence, has led the investment in placement. Click here to view the advert.